If you're a graduate of Leeds Law School now working in the legal profession, we'd love to hear about what you're doing now. There are lots of ways for you to re-connect with the law school and our initiatives. Find out more here. Are you a graduate of Leeds Law School or Leeds Beckett looking for further study? You may be entitled to an alumni discount. Why not view our range of postgraduate courses? 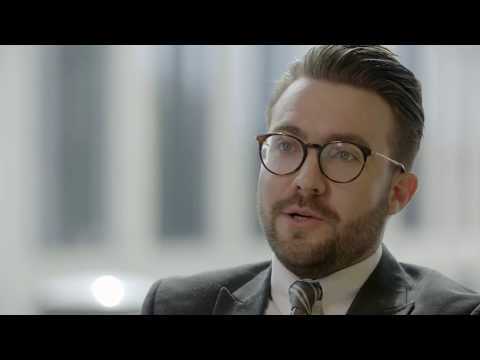 Leeds Law School graduate, Ryan Adams, talks about his course and university experience. "The experience I gained from my LLB degree allowed me to think through the workings of a case and apply practical solutions – graduates from other universities don’t always have those skills, so I really stood out when I graduated. I now specialise in employment law and work as a company director in Leeds." "I was attracted to the university because of its strong connections with the Leeds legal community. I knew that I wanted to be a solicitor, I knew that I wanted to work in Leeds and Leeds Law School was the perfect choice." "Having studied the graduate diploma I was extremely keen to stay on and study the Legal Practice Course as I had been really impressed by the way in which the course was taught. The things I enjoyed most about my course were the friendliness and approachability of the lecturers." Helen Chambers talks about her university experience and career. Helen studied Law LLB (Hons) and a Postgraduate Diploma in Legal Practice.